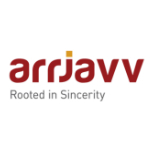 Arrjavva: the quality of being open and honest in one’s thoughts & deeds. The ancient texts describe it as truthfulness of character that is essential to acquire eternal salvation and bliss. Sincere candour, a rarity in the real-estate arena, has been our sole guiding light in the creation and progress of Arrjavv. Every endeavour we undertake is characterized by such transparency – from the expectations we set, the quality of constructions we create, to the wholesome purchasing and acquisition experience that we provide. With skills acquired since the inception of organised Indian real estate we stand out in a crowded market with an unmatched ability to select locations and develop them in a way that optimizes their geographical attributes. Our towering projects dotting the city skylines stand testament to our rigorous standards, consistent innovation and unique architectural and engineering capabilities. With lofty visions to provide a superior quality of life to the city’s denizens, serve them with humility and continually exceed their exacting standards, we stride ahead – while being firmly rooted in the spirit of Arrjavva.